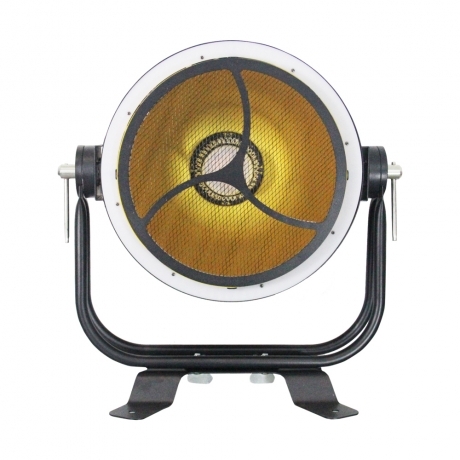 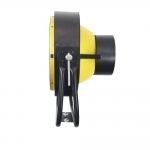 Equipped with 45 WW and Amber LEDs located in the unit’s Center Engine it enables the unit to create a nice and warm sunset effect, ideal for theatrical utilization. The “Reflective Pattern Ring” has an additional 87 WW LEDs, which creates a nice soft-edged effect to any setting. 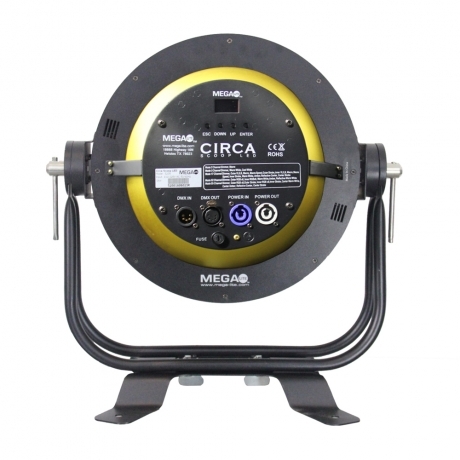 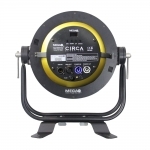 The Circa also features an Inner Ring which has 144 RGB LEDs, 8 segment control and the capability to control the macro speed and dim down different colors enabling it to set a wide mixture of colors. 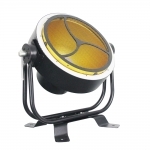 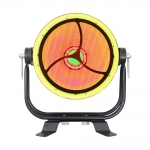 The Outer Ring also features 8 segments and is equipped with an extra 192 RGB LEDs that illuminate a 140º angle. 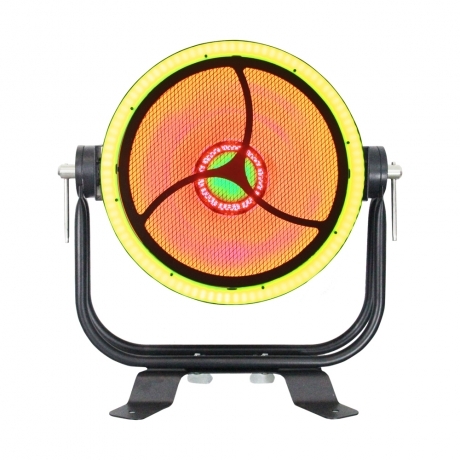 The 336 RGB LEDs can produce multiple color combinations and facilitate the ability to create authentic looks that can be used as dazzling eye-candy effects. 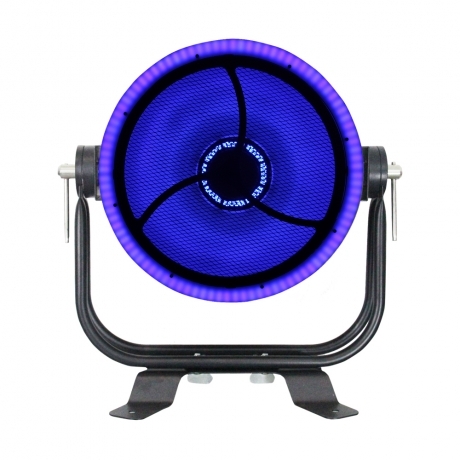 In addition, the RGB LEDs also produce a bright cool white, allowing it to alter the mood and intensify or neutralize a color. 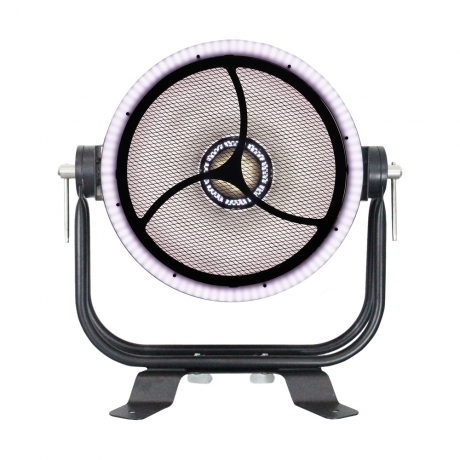 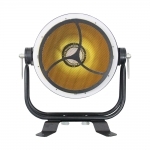 The Inner and Outer Rings can generate pulsing random strobe and macro effects, giving the Circa Scoop further diversity within one single unit.